Big legends cast big shadows. 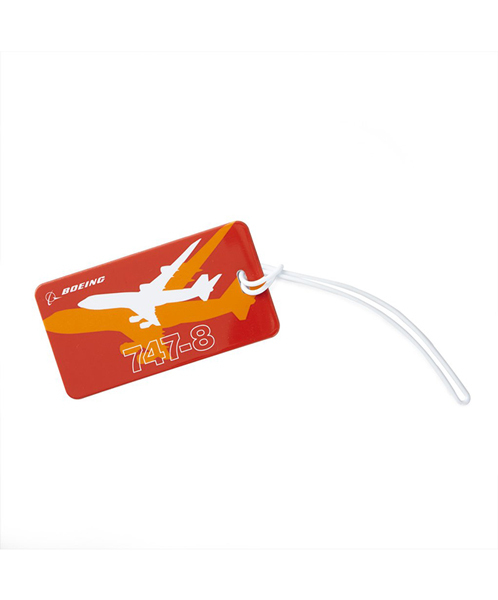 This flexible luggage tag is imprinted with the image and name of your favorite Boeing 747-8 in bold colors. It features a vinyl ID pocket with ID insert card on the reverse and a PVC strap. Tag measures 4.33"L x 2.36"W.